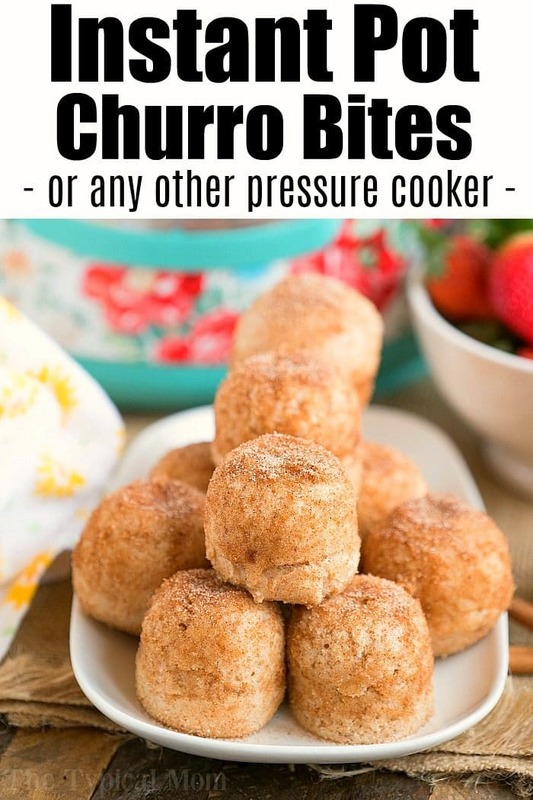 Pressure cooker churro bites are delicious for dessert or breakfast on the go! Cinnamon and sugar coated donut churros treats that are baked, not fried, right in your Instant Pot. These pressure cooker churro bites were a hit!! 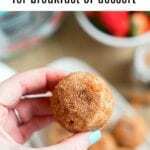 I made them at breakfast time and were a bit like a churros donut that the kids loved and even my husband raved about. Now one of our favorite breakfast Instant Pot recipes here on The Typical Mom blog. I mean seriously. You’ve never had one?? Well traditionally churros are long donuts essentially that are fried and rolled in cinnamon and sugar. We decided to call these pressure cooker churro bites. Yes they are baked / steamed instead of fried but we like that even better. 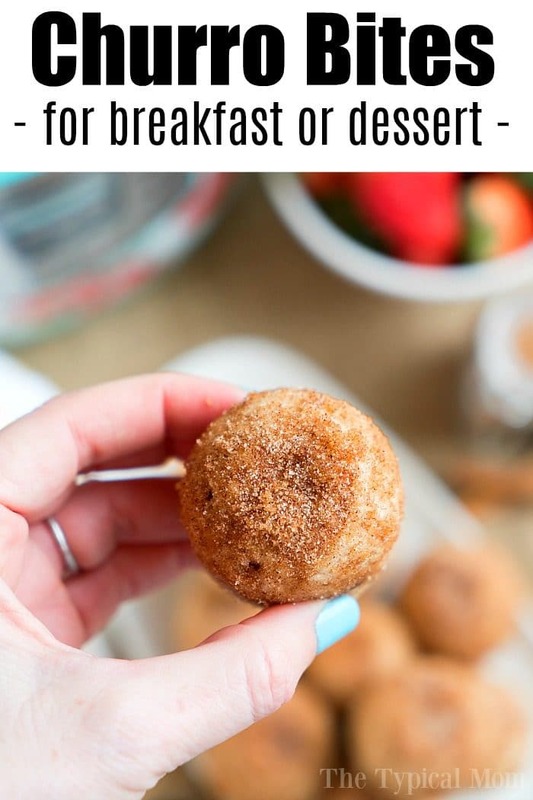 Essentially creating cinnamon and sugar Instant Pot donuts y’all! Have you tried these egg molds yet?? We’ve made a few different recipes in them that are NOT eggs at all…they’re so versatile and easy to use! I did something similar when I first created Instant Pot blueberry muffins using this same silicone egg mold for pressure cookers and they came out just as fluffy and delicious as if I had turned on the oven (which I do not do during the summertime…let’s save energy and heat shall we). This is what it should look like right before you put the lid on. 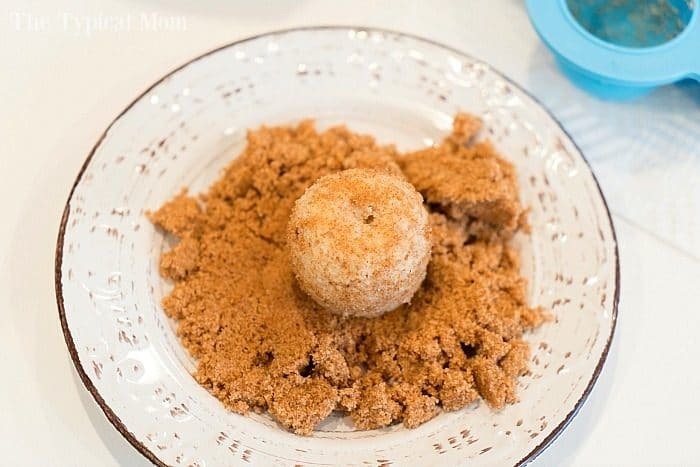 We rolled our Instant Pot churro bites in plenty of brown sugar. Then I sprinkled a mixture of cinnamon and sugar on top (generously) to taste as similar to churros as I could get. I had no idea if this would work because sometimes “baking” in a pressure cooker isn’t a success in my opinion and I’d rather use my oven but they were SO good!! Even my husband who is picky about textures couldn’t keep his hands off of them. I say they are the perfect pressure cooker breakfast item, okay they are dessert too but early in the morning anything is fair game as far as I am concerned. Once you have your egg mold and are obsessed with these you can make our pressure cooker egg bites and Instant Pot pancake bites ….you can even make mini meatloaf in them too! 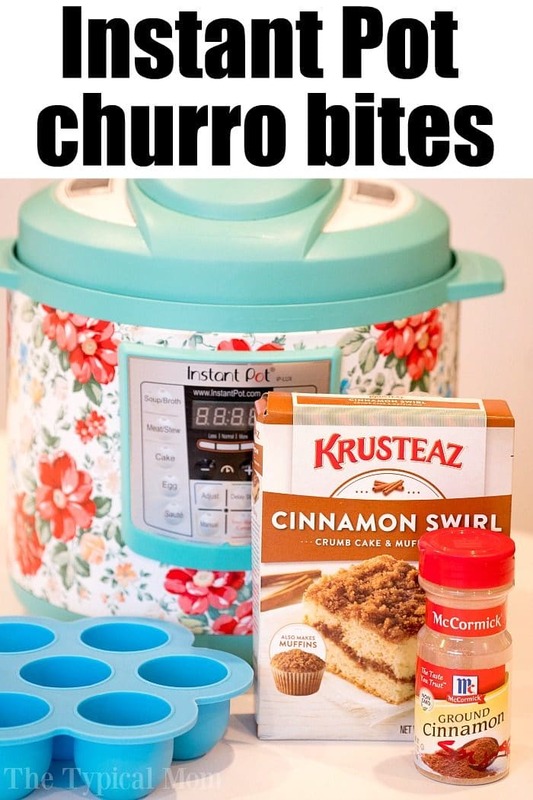 Can you double this pressure cooker churro bites recipe? If you have two egg molds you can stack them on top of one another (fits in my 6 qt. IP) and cook two batches at the same time. 12 minutes is fine for a double batch too, we’ve done it successfully! Are you convinced yet that you need to make these like ASAP???!! If you have a hard time finding a boxed mix you can try to make homemade coffee cake and use that as your batter as an alternative, but I haven’t tested it out so you’d have to let me know if it’s a go as well. Once you’ve enjoyed these you’ve got to try our Instant Pot bread pudding recipe and pressure cooker brownies bites using this egg mold too! 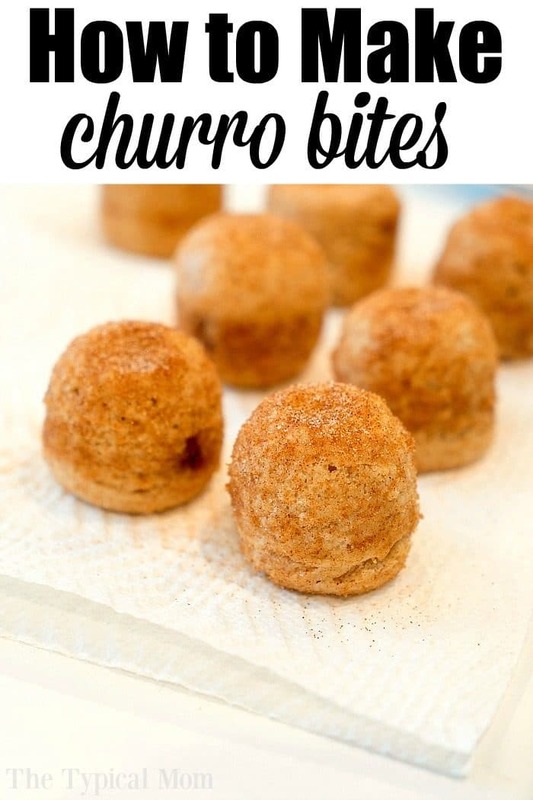 Pressure cooker churro bites are delicious for dessert or breakfast on the go! Cinnamon and sugar coated baked churros, not fried, in your Instant Pot. Mix cake mix, 1/4 tsp cinnamon, eggs, 3/4 c. of the brown sugar mix in the packet that is included in your muffin mix box, and buttermilk until smooth. Spray your egg mold with a bit of non stick spray and fill your cups 3/4 of the way full. Add 1.5 c water into your pot and put a trivet into pot as well. Close lid and steam valve. Set Instant Pot or other pressure cooker to high pressure for 12 minutes. Allow to naturally release all steam. 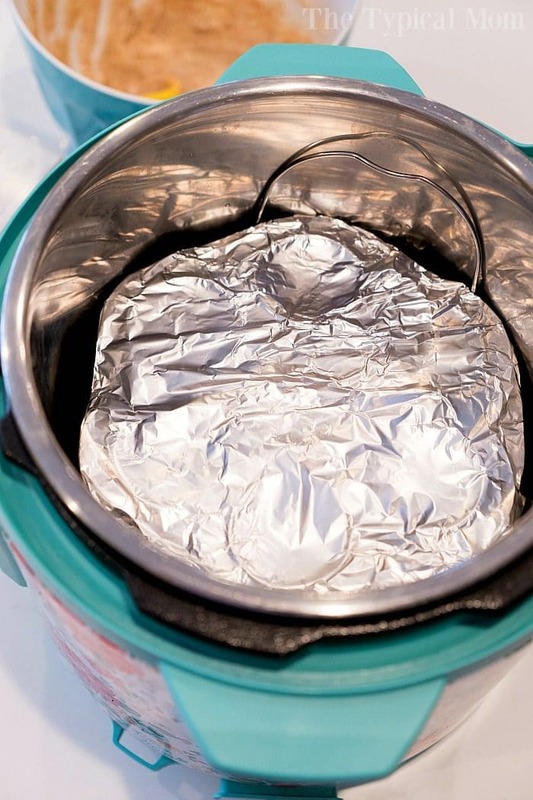 Remove egg mold and take off foil. Allow to cool for just a few minutes, until you can pick up the mold. Gently push on the bottom of each hole to pop out each churro bite. Add 4 tbsp. brown sugar on to a plate or bowl and roll each churro bite into it so they are coated, will stick to outside. Mix remaining 1/2 tbsp cinnamon and 1 tbsp sugar into a bowl and sprinkle on top of each one generously. Can use an injector filled with cream cheese frosting to push frosting into the center of each one too if you want. I am impressed by this recipe! So easy and who knew you can make something like this in the instant pot. Made it for breakfast, yum! I tried making these twice and used the same brand you recommended. Both batches stayed gooey and couldn’t get them to bake. No idea why. Thoughts: Your foil isn’t on tight enough and water is seeping in, you’re not allowing it to naturally release the steam at the end, foil isn’t taken off immediately at end and condensation is accumulating, not enough time allowing them to rest at the end once foil is removed. We’ve never had an issue. They are a bit tacky but just enough so cinn/sugar can stick on the outside when they’re done. Maybe foil wasn’t on tight enough. Both times the batter goo overflowed and tried baking longer but kept doing the same thing and wouldn’t bake. Ok well make sure of that and sounds like you filled cups too full, 3/4 full max! I bet that is it. That would be frustrating. Ok so I added a link in this post for homemade cinnamon coffee cake which I think may be a close alternative if you can’t get the mix anywhere. Let me know if this helps and if you try it how you think it turned out. I’m going to have to try and track down some of those silicone egg molds (I don’t live in the US)! They look super cool. Does Amazon deliver where you live?